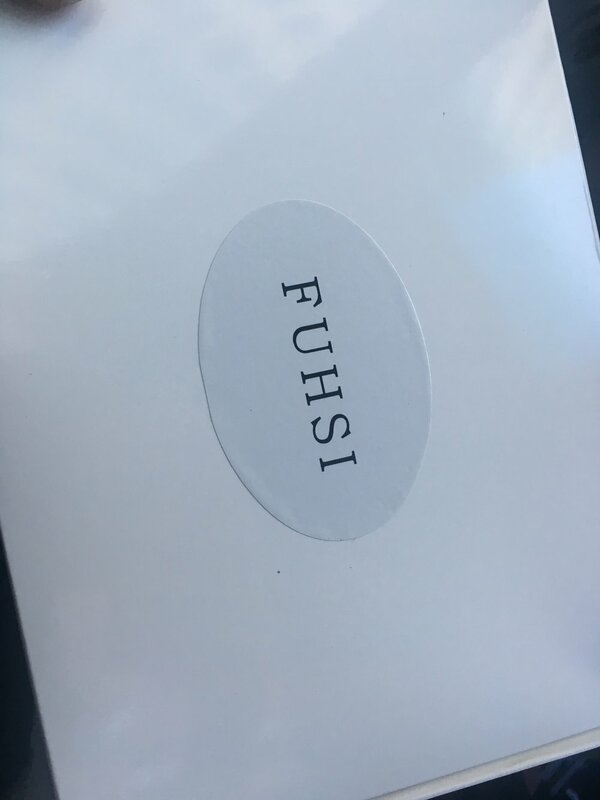 Beautifully Bombshell — FUSHI Hair Loose Curly Wave Lace Front Wig “130% Density” | @FirstBlushBB Review Disclaimer: Posts May Contain Affiliate Links and Means I Will Earn Compensation for Your Clicks And/Or If You Make Purchases Via the Link. I recently was on the prowl for a decent wig. Currently a natural hair gal, I wanted to have a protective style for a little while. As a mom of 2 always on the go, I need something pretty low maintenance and that doesn’t require me to comb my own hair. I was on a strict budget however to find something affordable but would last at least a couple of months. Many wigs that would last you longer than that 4-12 months will cost you about $400-$600 dollars. I opted for a $120 human hair wig from Amazon. Yes, I said Amazon. After looking on various hair websites, comparing different companies and watching a variety you tube videos, Amazon was the way to go. As a prime member, I found several wig options from different retailers that would reach my home in 2 days. I refused to wait 14 business days or more to get my hair, which is one of the main reasons I went with Amazon. Fast and free shipping! After about a week I narrowed down my choices to my top 3 wigs that best met my needs. I wanted something that had a natural curl so I had the option to wet it and go and not feel the need to use heat on my hair. Not using a lot of heat on you wig helps with maintaining the longevity of the hair you purchase. You have to ultimately treat it like the hair is coming from your own scalp. I also, wanted lace front so I could free part it wherever my little heart desired and if I could find a full lace for a decent price and length of 16in I would get that too. The day has arrived and my wig is at my doorstep. It comes in a white box and the hair was packaged in a Ziploc type bag. It was very curly, actually a lot curlier than I expected. The model had a puffier curl like pattern and what I was looking at was a more wet curl pattern. It had a nice natural looking hairline that came with adorable baby hairs. When I initially put on the wig to see what it look like I wasn’t convinced it was 16 inches. However, after properly installing it and brushing it through a few times, I was able to soften up the curly pattern and make it look more natural to fit my face shape. Most people like my sister will take your wig off every night before going to bed, I do not have time for all of that every morning, so I sewed on my wig around the nape, middle, and sides. Around my edges of my forehead and edges I tried two different methods after watching several YouTube videos. The first method I used “Got2b Ultra Glued Invincible Styling Gel” where you put on light layer blow dry it until it is sticky and then do that two more times until tacky then place the lace on top. That only work for a couple of days probably because I didn’t really do it right. The second method and less messier option is lace tape. For my big head and my patience level, the lace tape has worked wonders and I have not had to touch it for a week now. This lace tape has a very promising future in my life. 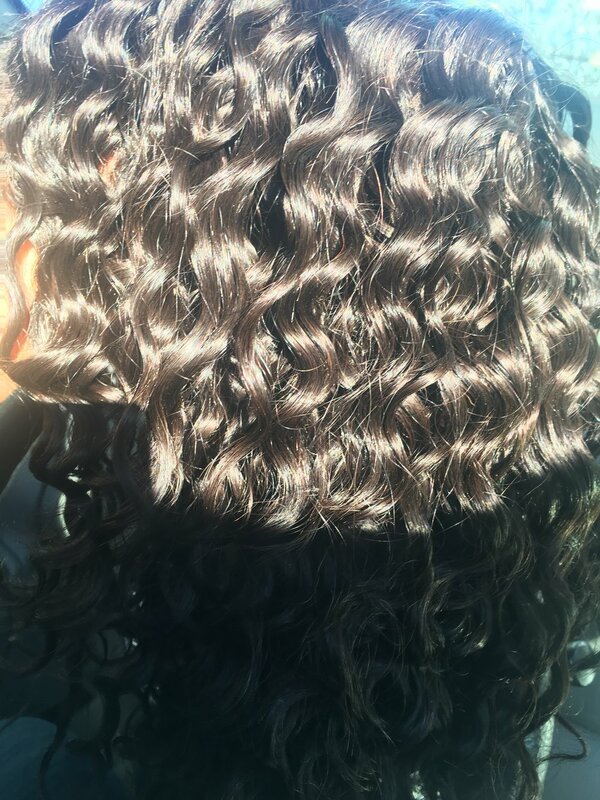 Here is the link to the wig I specifically purchased FUHSI Hair Loose Curly Wave Lace Front Wig Virgin Hair Glueless Human Hair with Baby Hair For African Americans 130% Density Natural Color 16inch.